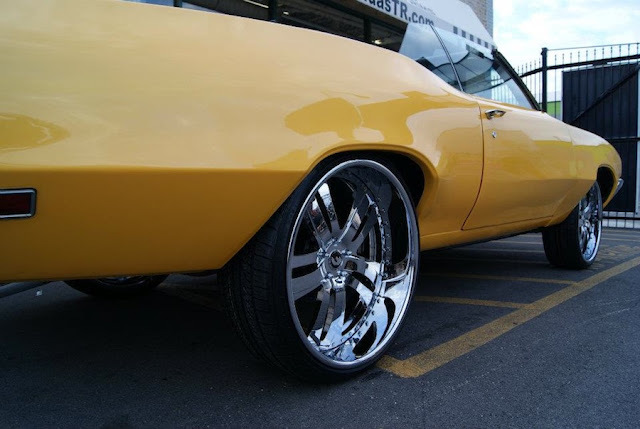 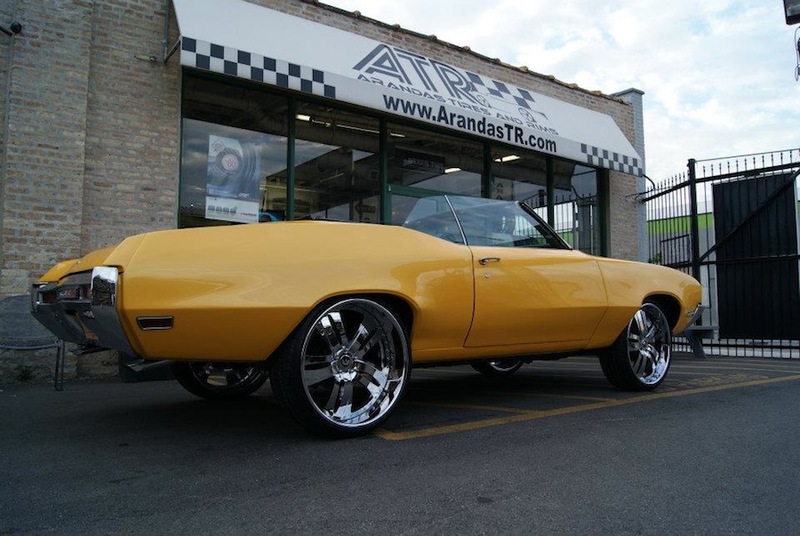 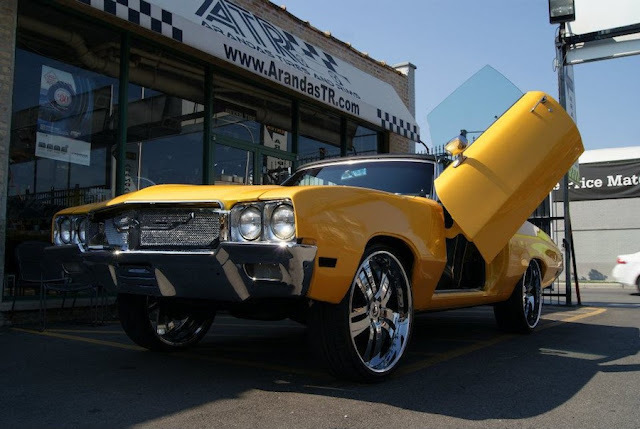 Aranda's Tire in Chicago sent Forgiato Wheels photos of a 1970 Buick Skylark sitting on 24 inch Forgiato Rasoio Wheels. 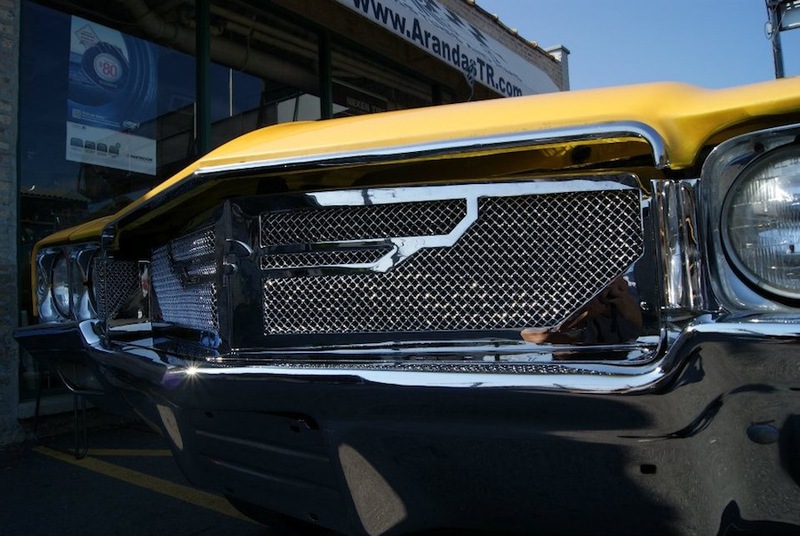 Of course, Forgiato is extremely modest, and didn't want to mention the fact that the Skylark also has matching Forgiato accessories like the grille and the steering wheel. Time to show you how the Windy City gets down. 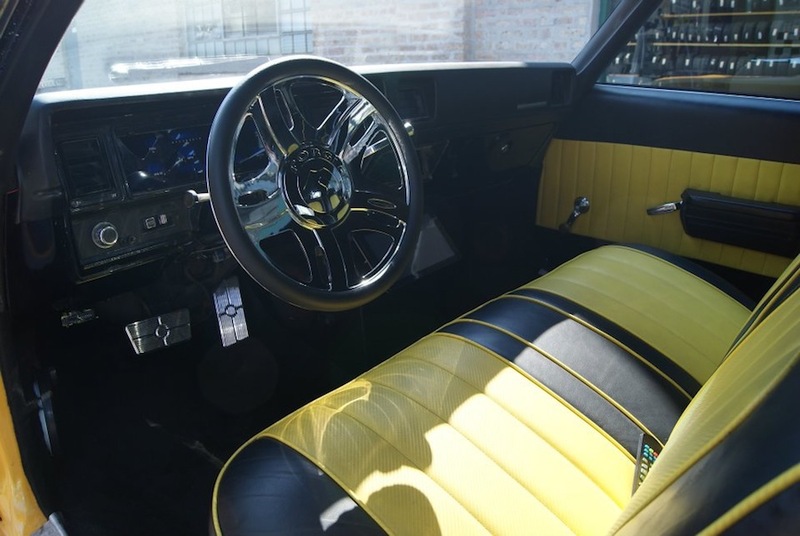 The Forgiato Steering Wheel doesn't look bad in the Skylark, it looks good in the right vehicle.